We pride ourselves in going the extra mile for our clients. –Computerized: We are computerized with our cashier and clerking data system which makes things much more efficient with the overall auction process. Bidders are able to check-in and checkout much faster without waiting in a line for a long period of time. This helps the bidders be able to be on the floor bidding right away and also allows them to make payment easier when they are finished buying. With this method we are also able to settle with the seller(s) much faster. –Equipment Loading: Bidders usually bid much higher knowing that they have a way to get their items purchased at auction loaded onto their vehicles. We usually have our forklifts/skid steers at the auction to assist bidders in loading heavier items, where it is possible. We also have event tents, trucks and trailers available to help out with locations transporting their items for an online auction when needed and where it is possible. –Additional Services: We have a registered PA Notary within our auction company to assist at our auction sales with paperwork. The auction company also has a FFL license for handling transfers. -We sell real estate where the sale is in the seller’s favor! Our auction commission rate is much lower than a real estate broker/agent. We structure the auction’s agreement of sale to benefit the seller, for example, the State transfer tax is paid by the winning bidder. -We sell real estate to the highest bidder, which sometimes goes above the appraisal value of the property due to the competitive environment of our auctions. -The real estate auction can have a reserve put in place, and if not met, the sale does not go through. The seller is always protected and in control in their decision of the sale price of their property. If the reserve is met, then the winning bidder/buyer pays 10% deposit in the form certified funds on the day of auction, which is “non-refundable.” The auction can be structured to have settlement within 30, 45 or 60 days. This swift process benefits the seller in saving time with their future plans by getting their property sold. -We sell real estate without any contingencies (as-is, in its present condition and without warranty). -We always involve an attorney in the process which is present the day of the auction, for the time period in which the real estate is being sold, and at closing. -We have the ability to work with several real estate brokers to help make a connection with potential buyers to be present at the sale. One of our auction company members is also a real estate agent with Long & Foster Realtors. -We do not bind you to any long term contracts if the property is not sold. 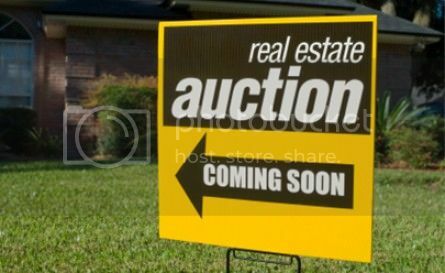 If we are not successful at auction in reaching your reserve, then you are not trapped in a contract that prevents you from placing your property with a real estate agent. Interested in more information? Give us a call today! © 2010 - 2019 Porter Auction Group. All Rights Reserved.